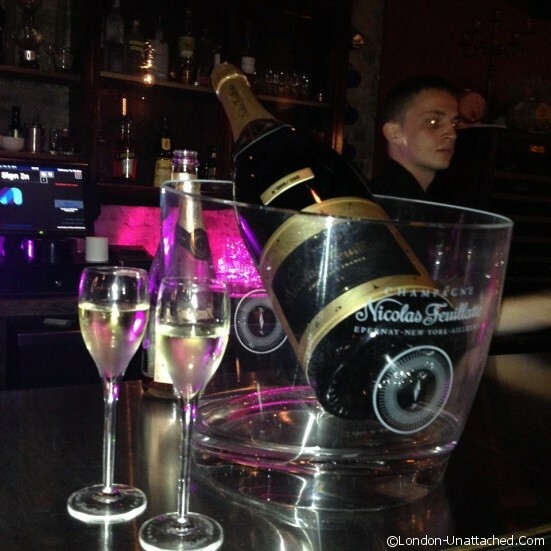 In the very trendy surroundings of The Century Club in Leicester Square, the other night Nicolas Feuillatte showcased some of their Champagnes in the lead up to Christmas. 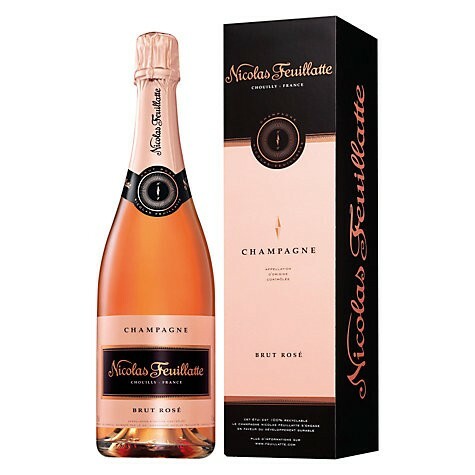 Nicolas Feuillatte is a relatively new kid on the block compared to some of the centuries-old Champagne Houses, but in just 38 years they have climbed through the ranks to make a name for themselves amongst the Champagne greats. Apparently it is their exceptional grape supply which has them regarded as the no.1 Champagne brand in France and amongst the top 5 Champagne brands in the world. 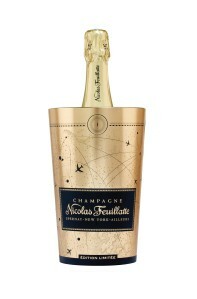 As much as relying upon the product to speak for itself, Nicolas Feuillatte also concentrate upon their brand image, instilling the Champagne with a thoroughly modern appeal. This was certainly apparent at their Christmas party, where even the Champagne looked the part in its super chic bottles! Amongst those that we got to sample was the Brut Grande Reserve. This is much more of a floral and fresh Champagne than I am used to, with the aromas of apples and pears really coming through. Although very pleasant and an ideal aperitif, I didn’t detect so much of the caramel and honey which was also present. 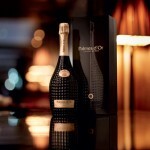 Especially for the festive season, the Brut Grande Réserve comes in a golden ice bucket, priced from £29.99. We also sampled the Brut Rose. Full of blueberry and raspberry notes, this would make an excellent dessert wine. Priced from £18.99, it also won’t break the bank. However, for me, the show stopper of the evening was the Palmes d’Or. Made up of 50% Chardonnay and 50% Pinot noir blend, this had much more of the biscuity flavour that I associate with Champagne. You can also detect the fruity aromas of white pear and peach and the beautifully designed black bottle means it looks the part as well. I’m afraid you get what you pay for here though, as this is priced at £85 (available from John Lewis). Definitely a Christmas treat! Whilst there, I also picked up some top tips for serving champagne with elegance! 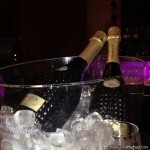 Champagne is best drunk chilled but not too cold – around 8°C if served for aperitif and 12°C if served with food. Over-chilling will mean the Champagne is too cold to release its aromas and flavours. When opening Champagne aim for a gentle sigh rather than a huge explosion as the cork leaves the bottle. Grip the bottle firmly with one hand and the cork with the other and twist the bottle until the cork is released. Serve in a pristine tall Champagne flute, washed with warm water, drip dried and then polished. This allows the bubbles to rise in long streams to release the aroma and soft flavours. I love this. I am a huge champagne and sparkling wine fan. I sounds like a perfect event for you too! Champagne Nicolas Feuillatte has been my favourite ever since I lived in France and friends from Reims told me that it was one of the best champagnes. They also serve it at Home House, where I’m often to be found.